Mongkok is a huge residential-commercial urban complex in Hong Kong. Despite its prosperity and vitality, this area has long been faced with difficult urban renewal issues. It was in this light that I did my graduation project, which offered a new concept for solving the renewal problems like playing a board game. 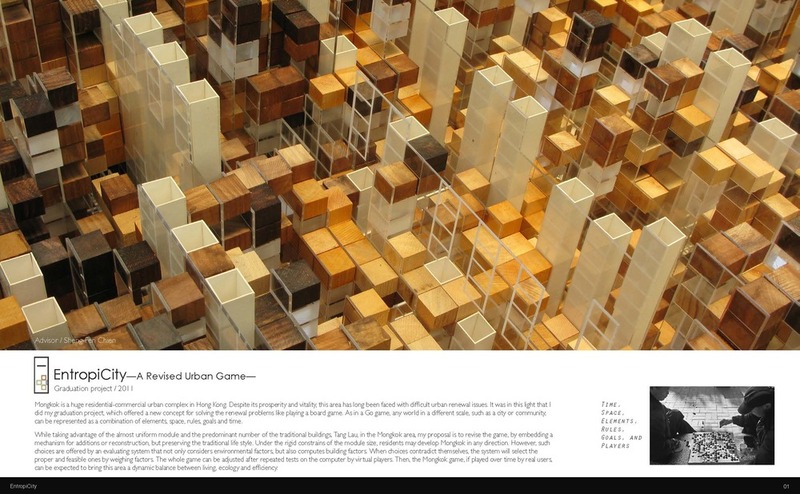 As in a Go game, any world in a different scale, such as a city or community, can be represented as a combination of elements, space, rules, goals and time. 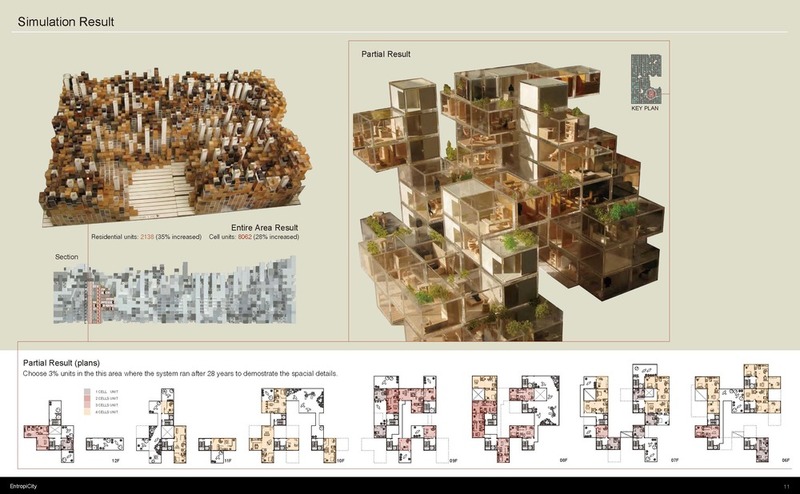 While taking advantage of the almost uniform module and the predominant number of the traditional buildings, Tang Lau, in the Mongkok area, my proposal is to revise the game, by embedding a mechanism for additions or reconstruction, but preserving the traditional life style. Under the rigid constrains of the module size, residents may develop Mongkok in any direction. However, such choices are offered by an evaluating system that not only considers environmental factors, but also computes building factors. When choices contradict themselves, the system will select the proper and feasible ones by weighing factors. The whole game can be adjusted after repeated tests on the computer by virtual players. Then, the Mongkok game, if played over time by real users, can be expected to bring this area a dynamic balance between living, ecology and efficiency. The key concept of this project is to propose a bottom-up and dynamic urban renewal system. 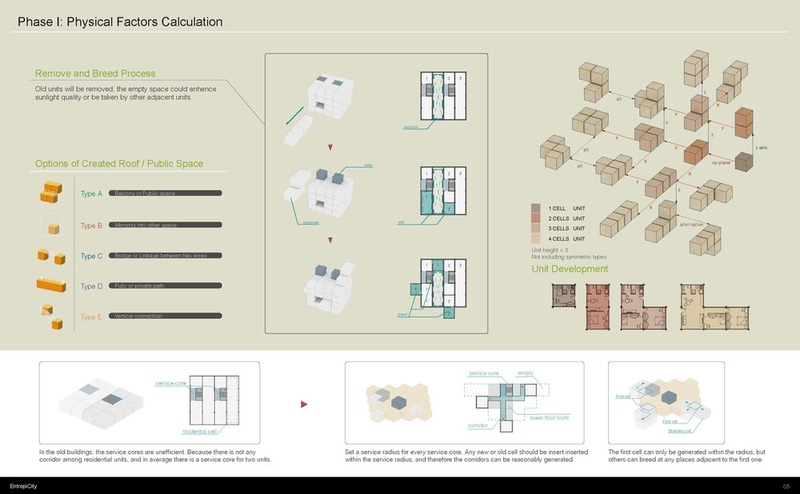 With the help of a real-time evaluation and suggestion system, every resident in this area is a free and independent living cell, and he/she have to coordinate with others, seeking for optimal solution for themselves, and for the whole urban complex. 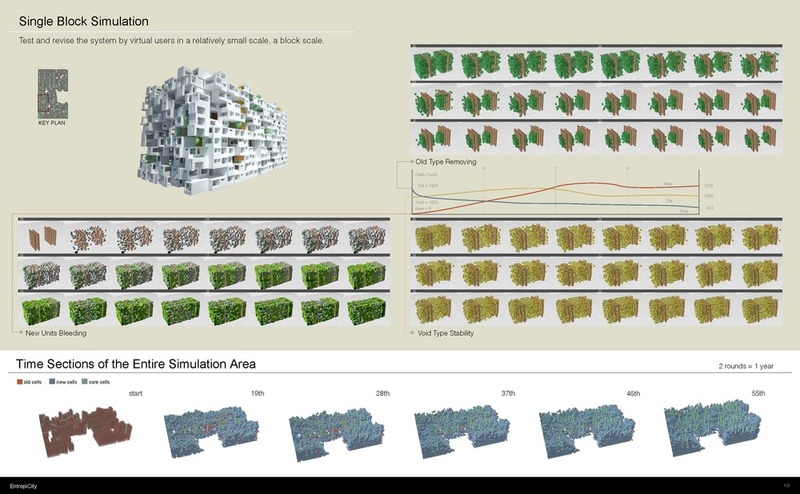 The system I built has two parts: The fist part is to help the virtual residents to evaluate their choices in every round, such as sunlight, circulation and structural safety; and the second part is the multi-agent system generating virtual residents for the city. 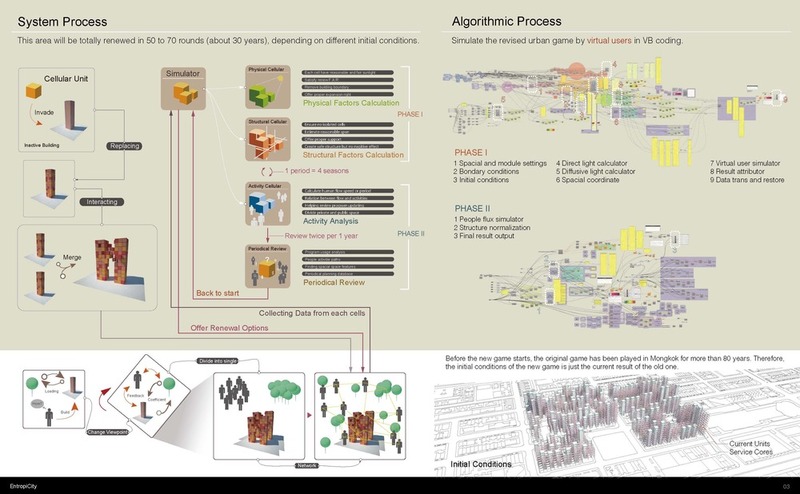 The goal of this urban game is to verify if this bottom-up method can do better than the current top-down urban renewal system. 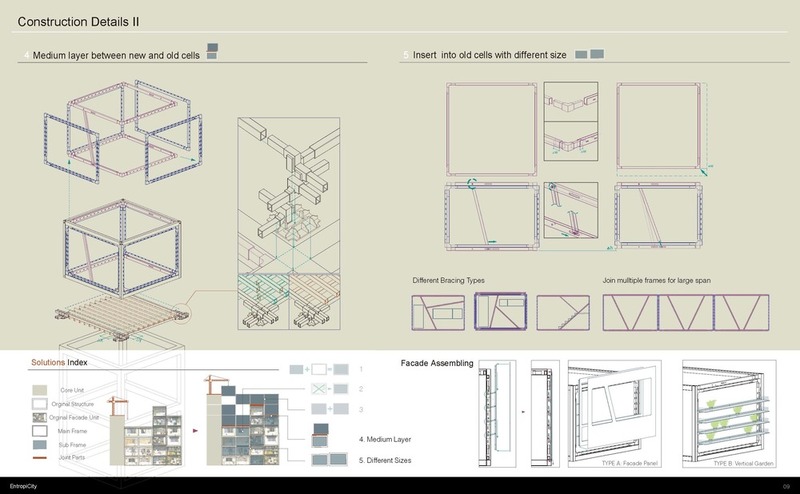 In this project, I also considered the construction details for new and old cell units to support the feasibility of this idea. 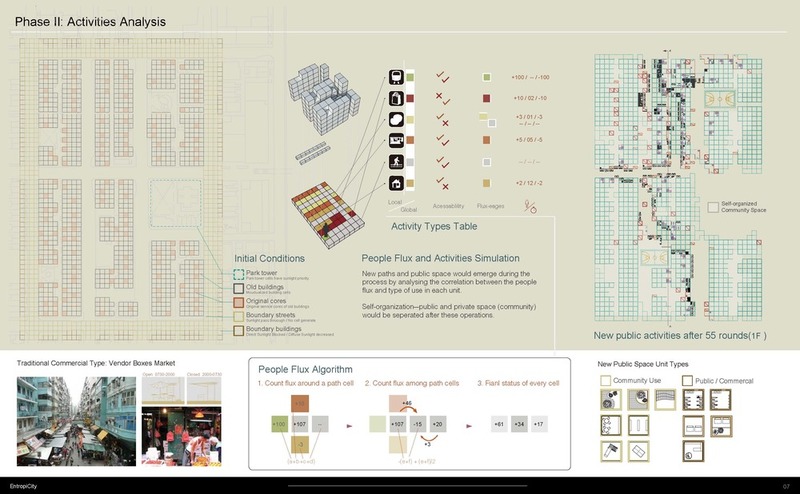 The simulated result is surprisingly good, increased 35% of residential units and 383% of public space, and we can see some self-organized patterns emerged.